The Bears travelled West on Sunday in search of a sixth league win of the season, and, they got it, defeating the West Wales Raiders 28-18 in a hard-fought match. 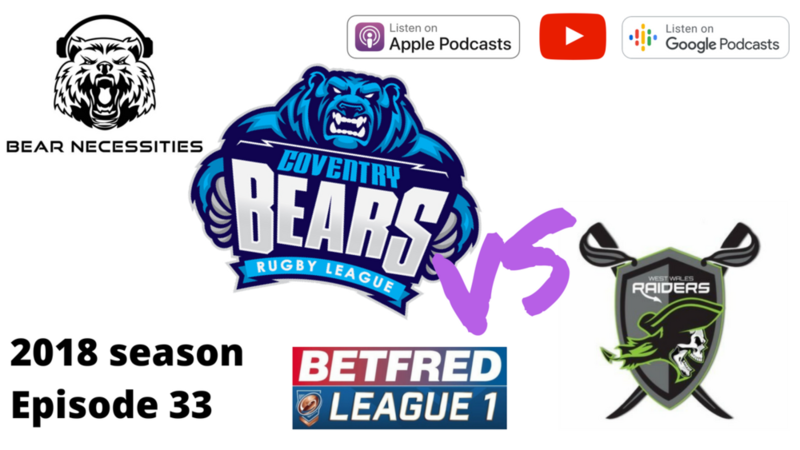 We’ve got all the analysis from Sunday and the post-match thoughts of Bears head coach Tom Tsang. Not only that, we have another round of Ask Mr C and we gaze into our crystal ball and lay out our predictions for this weekend’s Challenge Cup final and the Bears’ final four games of the 2018 season.